You love chocolate, you love mint, you love chocolate AND mint? Well this post should make you jump for a joy. 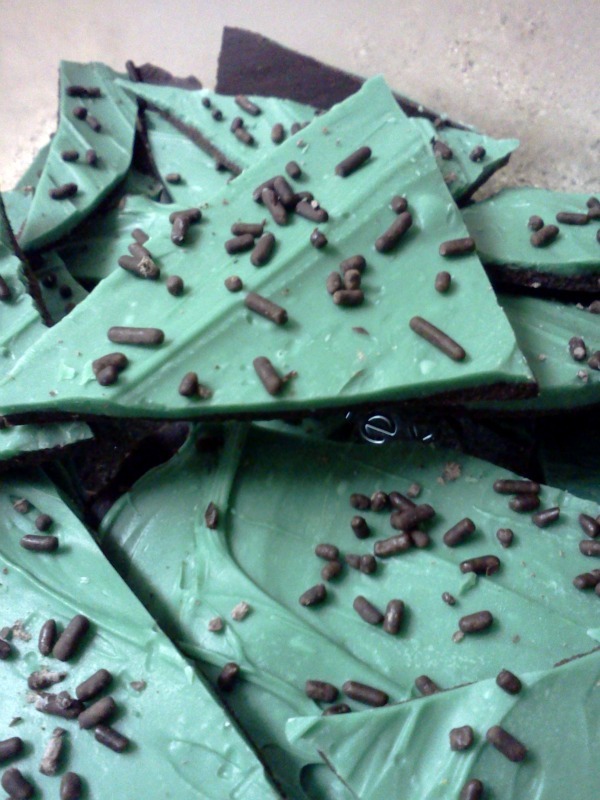 This is a really easy and really good recipe for some chocolate mint bark that you can make in 20 minutes OR LESS! Of course you have to wait for it to set, but hey.. You have dishes to do. Line a baking sheet with parchment paper and set aside. Melt the bittersweet chocolate using whatever melting method you prefer. Pour it onto the paper and spread the chocolate evenly across the paper. Place in freezer, and freeze 20 minutes. 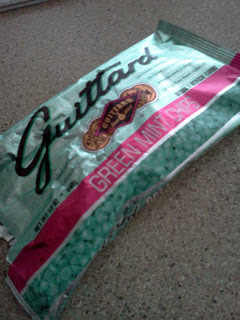 The last 5 minutes before you take it out, melt the mint chips. 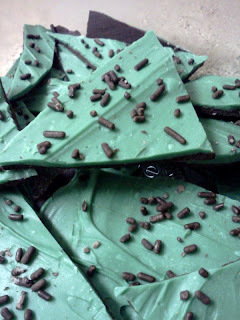 As soon as you take the bittersweet chocolate out of the freezer, immediately spread the melted mint chips over top, making sure it is even and covering all the bittersweet chocolate. Top with sprinkles if desired, and pop back in freezer to set. That's it! Hopefully you have them near you, if not melting some white chocolate and adding peppermint extract to it would be an option to try, and the appropriate food color if you want.